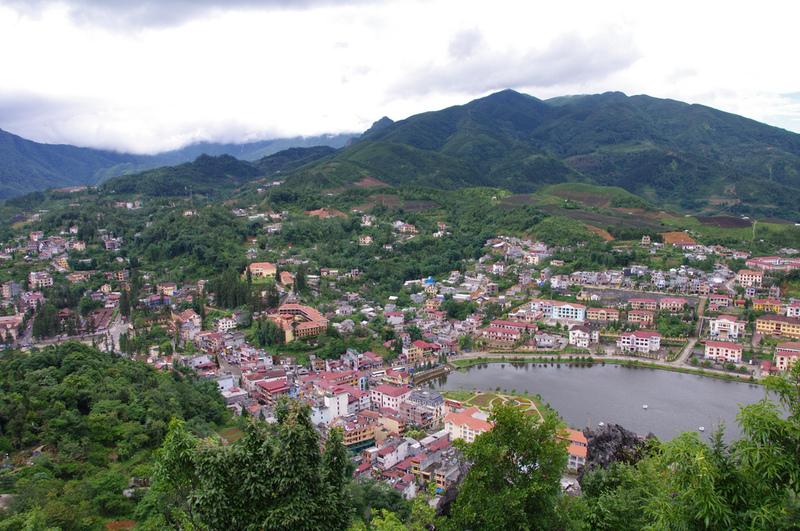 370 kilometers northwest of Hanoi, Sapa is one of the most popular tourist attractions of Vietnam. Here you can explore the authentic culture of ethnic groups, enjoy the mountainous cool weather, and stay away from the rowdy crowd. Located in high mountains, Sapa is accessed by road only. From Hanoi, the most popular way to get to Sapa is a night sleeper train. It will take 8 hours to Lao Cai Province, you need other 45 minutes to transfer from there to Sapa by a minibus. Traveling by bus is another option. It’s faster (6-7 hours) and goes directly to Sapa without stopping in Lao Cai. For more adventure, you can get there by motorbike, but all the roads leading to the northern mountains of Vietnam are quite dangerous, so make sure you are a good driver. Private car is the most convenient and fastest way, which takes only 5 hours. Traveling by train is the most popular way to get to Sapa. March-May: This is the best time of year in Sapa. Sunny day, fresh air, and warm weather, all make it perfect for trekking and outdoors activities. This is the time people start to cultivate their land. They bring water to the fields for their new rice season, the terraces then look like a big mirror reflecting sunbeam sparking on the water surface June - September: The iconic rice terrace fields come to live with green color. But it is considered the wettest season of Sapa. Heavy rains come early in mid-June and flood mostly happens in July and August. Late September - mid-December: Weather is cool and dry, rice terrace fields turn brilliantly yellow, creating the best-ever picture for sightseeing and photo-taking- perfect for photos and trekking. Mid-December - February: This is winter time and the temperature occasionally drops to zero with harsh weather. But if you want to avoid tourists, then this is the time for you. 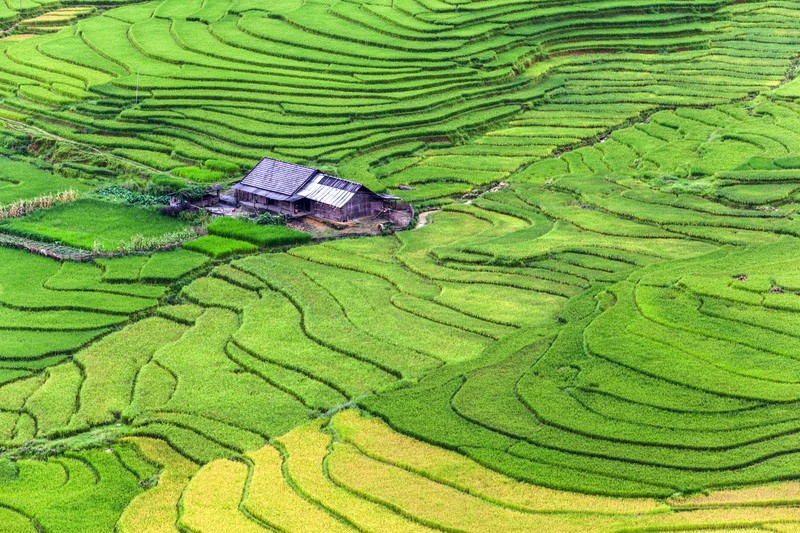 A majority of the visitors to Sapa is chasing its rice terraces’ beauty. 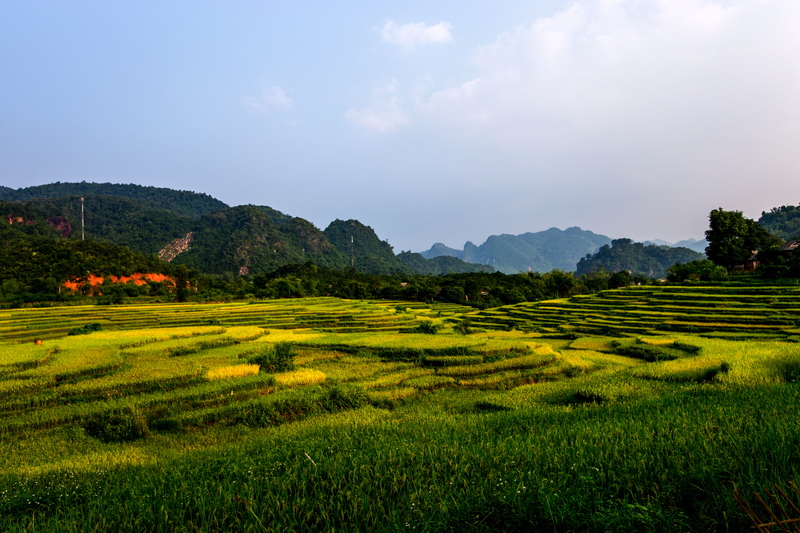 Have been cultivated for hundreds of years by the H’Mong from generation to generation, the vast rice fields provide an amazing look for pedestrians, either in summer when they are green or in late autumn when they change to brilliant yellow. Expect a flutter in your tummy in front of the astonishing natural scenery. There are six ethnic groups living in the villages around Sapa. They are the Hmong, Zao, Kinh, Tay, Zai, and the Xa Pho, giving Sapa a diversity of culture and lifestyle. Sapa Museum is definitely worth a visit when you first arrive in the town if you don’t have a lot of time. The museum will give you a deep insight into the history of the area in just about 45 minutes. Upstairs is an exhibition space where you learn the differences between ethnic minority people through impressive artifacts while downstairs is a large souvenir shop, selling coffee, honey, and crafted embroidered indigo-dyed hemp products. As mentioned in its name, Rattan Bridge is an ancient bridge made from braided rattan. Just 10 kilometers from Sapa town, this bridge used to be the only road connecting Sapa to Ta Van village. Since a new bridge was built, it has become an attraction which draws visitors coming to challenge their brave. Crossing Muong Hoa River, the bridge’s steps are made from old wooden pieces. Make sure you are a good swimmer before step on it. As one of 7 amazing beautiful waterfalls in Vietnam, it’s surely a miss if your Sapa’s checklist doesn’t include the Silver Waterfall. 12 km from the Sapa center, it takes only 30 minutes to reach. 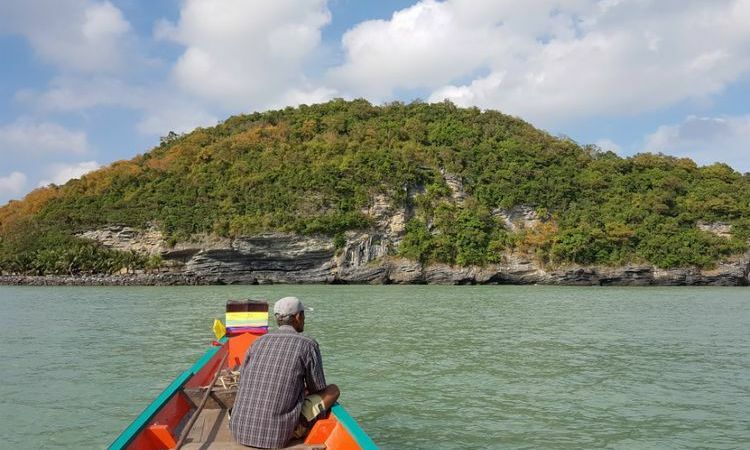 Thac Bac (Vietnamese name) is located within the forests of Hoang Lien Son National Park. Lying on the height of 1,650ft, the fall looks like a silver river pouring down from the sky, running through the rocky mountains and evergreen forests. 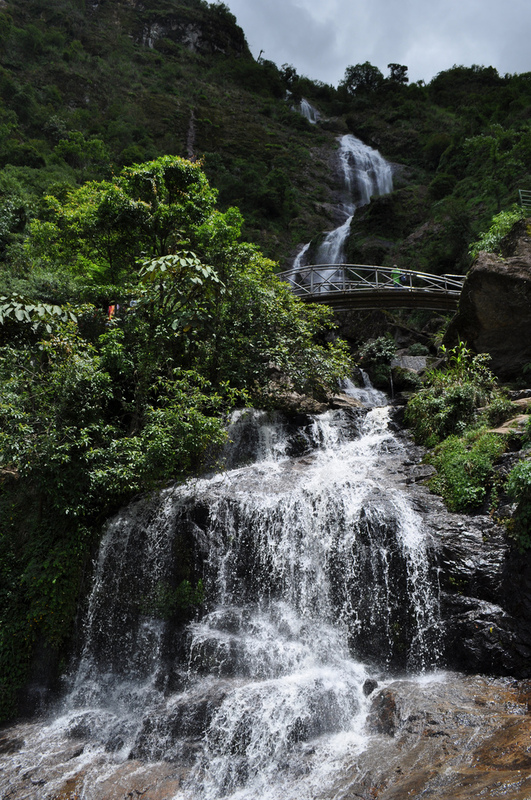 Just a few kilometers from Silver Waterfall is Love Waterfall - another attraction of Sapa. The name comes from a love story of a fairy who fell in love with the flute of a local man. The Golden Stream runs along the narrow paved path making the jungle trek more interesting. The fall is not as big as it’s cousin but offers the same natural beauty to people who dare to venture into. Only 2 kilometers from the downtown, Cat Cat is close enough for a short trek. This village was formed in the 19th century as a residence of the Black H’Mong. They built their houses on the mountainside and cultivated surrounds. Step up the stone path, you can see small shops with a variety of products such as weaving fabric, silver jewelry, and agricultural utensils. Along with the picturesque scenery and typical ethnic ambiance, Cat Cat people still well maintain their traditional handicrafts, make their village one of the most appealing attractions of Sapa. Where to expose the culture, tradition, and daily life of the local is better than a market? Especially, with a typical northern mountainous area like Sapa, markets are certainly places that you shouldn’t pass over. Here, markets are not only for trading but also the community center for ethnic people to gather, catch up with the latest news, or just for some talks. That means, you can easily capture colorful traditional dress, abundant local products, an opulent and featured culture of many different hill tribes just in one place. List of Sapa Markets: Coc Ly Market: Open every Tuesday Cao Son Market: Open every Wednesday. Lung Khau Nhin Market: Open every Thursday. Can Cau Market: Open every Saturday. Bac Ha Market, Muong Hum Market, and Muong Khuong Market: Open every Sunday. This lovely shop selling authentic beautiful H’Mong craft has a magnetism that you can’t resist. Therefore if you don’t want to spend more, don’t go there because I’m sure that you will want to bring something home when you see its natural hemp fabric products. From bags, clothing, pillows, wall hangings, to bedspreads and blanket, all have unique designs and nicely priced. The shop owner speaks good English and has a wide knowledge of her products, thus, that will be a warm and pleasant visit. Address: 046 Phan Xi Pang Street, Sapa. The Church was built of stone in 1895 and is the most impressive colonial architecture that the French left in Sapa. It has 7 spacious rooms, with the 66ft bell tower holding a 500-kilogram bell cast in 1932. This is the important spiritual place for Catholics in the town and the neighborhood. If Cat Cat is a village of the H’Mong, Ta Phin is a village of Red Zao’s people, possessing a rich culture that hasn’t been damaged by the modern life. After 30 minutes driving from the downtown, Ta Phin comes in your sight a picture of Zao’s women holding in hands reels of colorful threads, sewing constantly. Ta Phin villagers can speak English pretty well. They are famous for the best handmade brocade fabric in the area. All of their products have distinctive patterns with eye-catching bright color, including bags, scarfs, purses, backpack, and skirts. 14 kilometers from the town center, Muong Hoa Valley lies between two ranges of mountains, being the largest cultivating land in Sapa. The best way to discover Muong Hoa is trekking downhill, along the Hoa River, through the breathtaking terraced fields, and passing some of the unique ethnic hamlets of H’Mong people. Muong Hoa Valley is where you can observe the most beautiful landscape and discover the most remarkable experience of Vietnam ethnic minorities. Standing more than 6,560ft above the sea level, O Quy Ho Pass is a must-visit for adventurers or any traveler with a heart for nature. 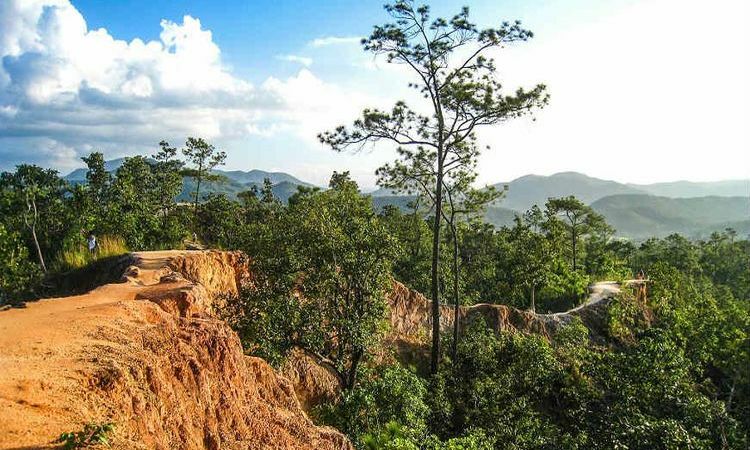 It's a 50-kilometer route, running around the Hoang Lien Son Range, offering a great chance to see beautiful sceneries and feel changes in the climate as you drive up. Once you are on the top, you will soon understand why it is called “The cloudy mountain pass”: it is covered by dense white cloud all year round, creating a heaven-like setting. Shaped like a dragon’s head on the cloud, Ham Rong Mountain is nice for an afternoon walk. It takes about 30 minutes to trek up to the top. From here, you will have an amazing panoramic view of Sapa town. About mid-way, there is orchid gardens and mini stone forest where you can stop for a visit and breath in the airy atmosphere. Not far from Sapa (about 20 kilometers), Fansipan is the most attraction for trekkers. With the height of 10,312ft, this is the highest mountain in Vietnam, Laos, and Cambodia. It can be ascended in a 2N1D climb if you are in good physical condition. If not, you can choose the cable car which will take you from the mountain foot to a station near the summit. A long trek of 2 or 3 days now is achieved in just 15 minutes. That also means more and more visitors can “conquer” the Fansipan peak easily. Despite a surge of domestic and Chinese visitors, a view of an ocean of cloud from the roof of Indochina is priceless. 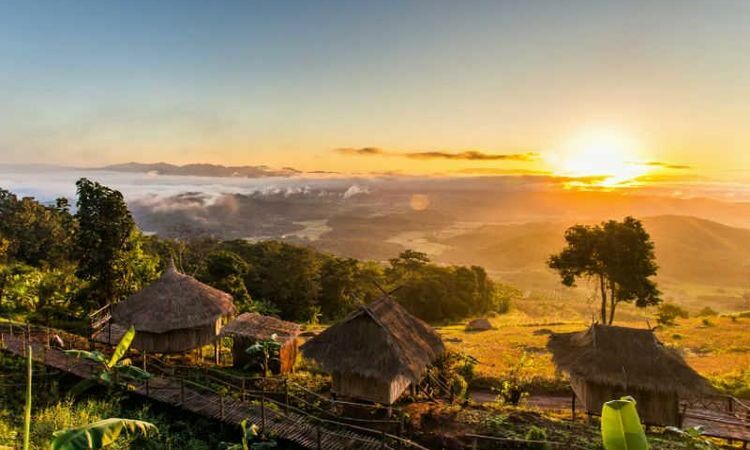 Placed on a hilltop, the Ecolodge is a perfect getaway for nature lovers. 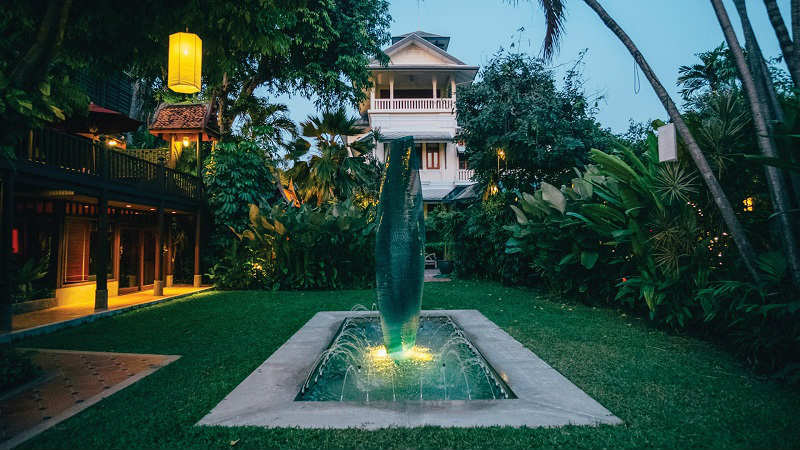 33 white granite bungalows, roofed with palm leaves overlooking lush mountains and rice fields. 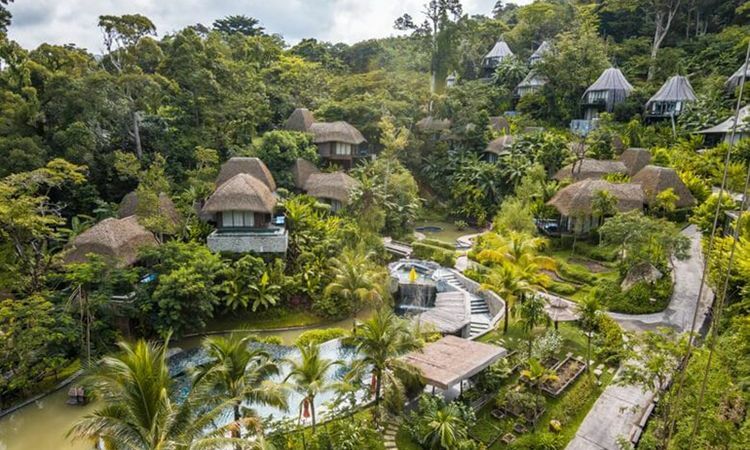 Its large infinity pool is surrounded by incredible views of peaks and valleys making it one of 10 hotels with stunning pools in Southeast Asia. Victoria Sapa Resort & Spa has an extremely favorable location. Stayed right in the heart of Sapa town, however, it has a wide space surrounding by terraced fields, mountain ranges which give it a cool, fresh, and relaxed air. 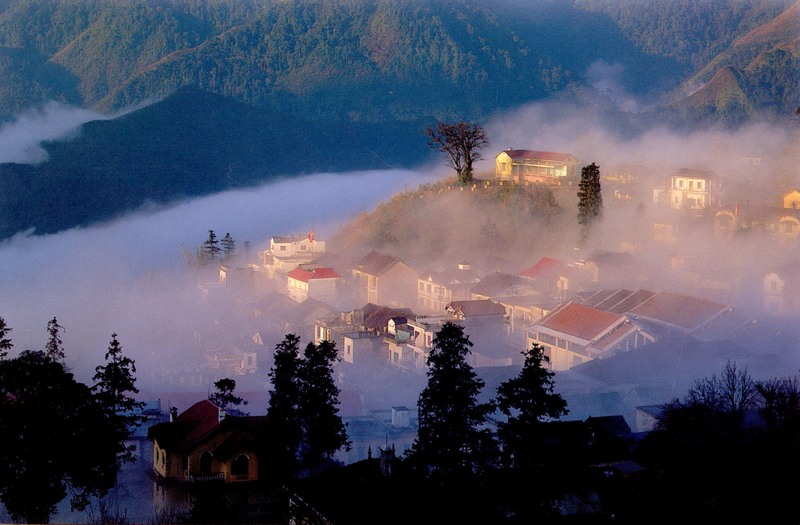 Located on Cau May - the busiest street of Sapa, U Sapa is one of the most beautiful hotels in the misty town. It boasts a colonial French architecture with lovely decors and cozy rooms. Sleep Homestay is a wonderful experience in Sapa to feel its unique culture. Here, the homestay service is very developed, you can enjoy all of its advantages without worrying about the hygiene of housing and food. There are quite a few of lovely homestays in the town, contact and tell us your interest, we are happy to help with valuable advice about accommodation as well as about traveling to Sapa. Are you inspired by a trip to Sapa? 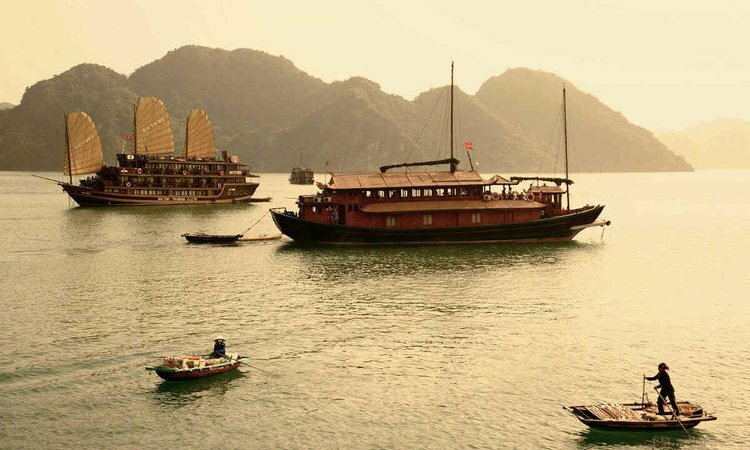 If you want to discover more, read our Postcard of Vietnam, a 13-day trip which will take you through many destinations of Vietnam, including Sapa, or chat to one of our Vietnam experts who can share their first-hand experiences and recommendations. You can also fill up this simple form if you want us to create an itinerary that matches you the most.